Few, if any, industries are growing as quickly as legal cannabis. 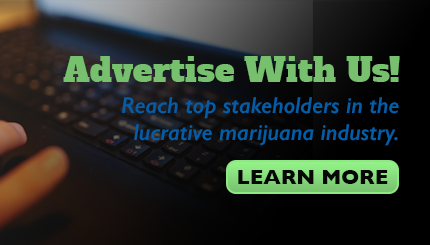 According to a co-authored report from Arcview Market Research and BDS Analytics, global marijuana sales rose to $12.7 billion in 2018, and they're on track to hit $16.9 billion this year, representing 38% growth. By 2022, worldwide revenue is forecast to top $31 billion. Although sales were ramping up nicely before 2017, they'll really get a jump-start from the legalization of recreational marijuana in Canada. Having ended nine decades of adult-use weed prohibition, Canada provides validation for an industry that until recently was still considered taboo. Tack on numerous state-level legalizations in the U.S., and North America has become a hotbed of opportunity for the legal pot industry. However, not all countries or states are equal in terms of opportunity. Without question, Canada offers the freest regulatory environment, with the potential for perhaps $5 billion-plus in added annual sales by the early part of the next decade. But the U.S. is considered the crown jewel of cannabis, with the Golden State, California, sitting at the throne. By itself, California could generate in the neighborhood of $6 billion to $7 billion in full-year sales by the early part of the next decade, with sales expected to increase to $11 billion by 2030. California is the fifth largest economy in the world by GDP, after all, so it's not all that surprising that it might be able to outsell all of Canada. Unfortunately, this cannabis kingpin hasn't delivered as expected, even though its residents voted handily to approve a recreational weed proposition back in November 2016. Some of the blame goes to regulatory red tape, which has been an issue in Canada, too. The arduous process of obtaining retail licenses has slowed the opening of cannabis dispensaries in California. Meanwhile, growers have been overproducing with the expectation that demand would more than meet supply. The result has been rampant oversupply that, in some cases, can't be sold, leading to a decline in the per-gram price of dried flower. Yet this regulatory red tape takes a back seat to a much larger problem: taxation. When California rolled out its marijuana tax plan, I, and pretty much everyone else who follows the industry from a business perspective, cringed. 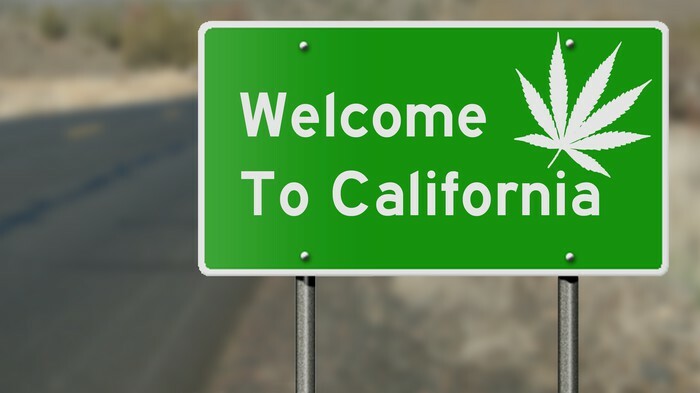 Aside from state and local taxation that would apply to any retail sale, California also tacked on a 15% excise tax to recreational weed sales, along with a cultivation tax on growers. This tax worked out to either $9.25 per ounce of cannabis flower, or $2.75 per ounce of cannabis leaves. All told, consumers in some counties could be paying as much as 45% in aggregate tax on legal weed. The worry has always been that taxing marijuana at too high a level would drive consumers back to the black market. Illicit growers don't have to pay a 15% excise tax, state or local taxes, state income tax, federal income tax, or a cultivation tax. Sure, it's illegal, but that's not stopping producers from growing marijuana and selling it under the table out of the state's view. Of course, this is just a worry without any precedent, right? Well, not exactly. In November 2018, California's Legislative Analyst's Office released data showing that retail excise tax revenue and cultivation tax revenue totaled $77 million and $7 million, respectively, during the first six months of 2018. This $84 million in collected tax revenue was $101 million below projections. Furthermore, Fox Business reports, by way of BDS Analytics, that Californians spent $500 million less on legal cannabis in 2018 than they did in 2017, before recreational weed was legalized. The evidence is clear: A high tax rate is killing legal weed sales channels. With this in mind, California may be readying to take drastic action. The state's legislature has introduced Assembly Bill 286, better known as the Temporary Cannabis Tax Reduction Bill. It would wind up reducing the state's excise tax from 15% to 11% for a period of three years and remove the cultivation tax on growers until 2022. Doing so would drop the aggregate tax under 40%, but that would still present a relatively high combined rate. Presumably, though, it would push more consumers into legal-channel sales, which is important for the purposes of tax revenue and job creation. This bill also holds importance to a number of popular marijuana stocks that are wholly or partly reliant on California's pot industry. An example would be vertically integrated dispensary chain MedMen Enterprises(NASDAQOTH:MMNFF). MedMen, which is in the process of acquiring privately held PharmaCann for $682 million, and expects to open a dozen dispensaries in Florida this year, has more than half of its current stores (eight) in California. Although MedMen has produced sale-per-square-foot results that rival Apple stores, it could presumably do even better if it had a larger pool of consumers willing to pay premium prices for legal-channel product. Without a more attractive tax rate in California, MedMen may decide to focus on more promising states in the interim. That's not a luxury Origin House (NASDAQOTH:ORHOF) can afford. Previously a royalty company, Origin House has bet quite a bit on California's distribution business. Whereas there are expected to be thousands of legal pot products competing for shelf space in hundreds of dispensaries in the state, there are only a small number of distribution licenses issued. Origin House has been busy acquiring companies in the distribution business and setting itself up as a middleman in moving cannabis from Point A to B. However, if far too many consumers pass up the legal route in favor of black market marijuana, it could adversely affect Origin House's niche business model. Clearly, there's a lot riding on what California does to combat the black market. I believe the tax rate is far too high now, and may be too high even if the Temporary Cannabis Tax Reduction Bill becomes law. However, only time will tell if that assessment is correct.